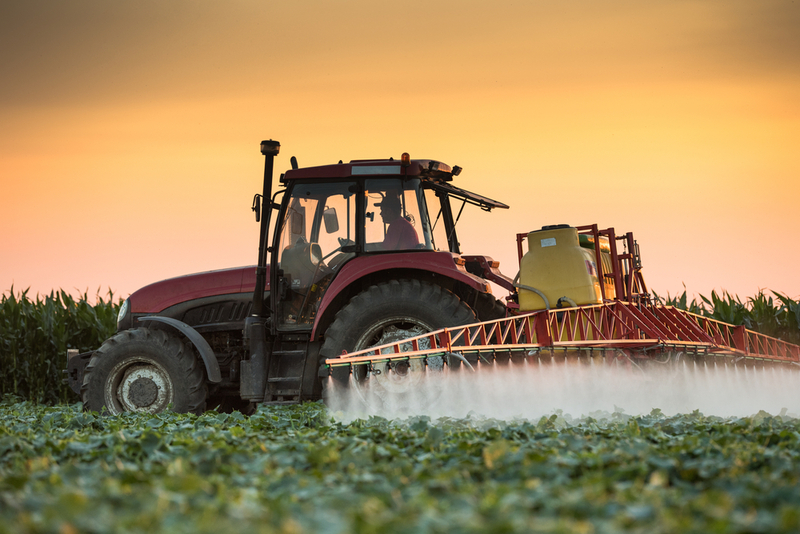 If this is your first time reading about agricultural spray adjuvants, then here is an article that can provide valuable answers to what adjuvants are and what they do. Agricultural spray adjuvants can be used to enhance the effectiveness of pesticides, such as fungicides, herbicides, and insecticides. Killing Pests Just like medical adjuvants, agricultural spray adjuvants may not be active in controlling or killing pests. As a matter of fact, they are just additives that modify the property of the spray solution. Thus, it improves the ability of the pesticides to target, penetrate or protect the organism. Ingredients of Adjuvants The ingredients of this spray solution include emulsifiers, oils, salts, and surfactants. Each of the ingredients will modify the spray solution itself so the properties will be improved, such as the droplet size, penetration, and spreading, among other characteristics. Additives The said additives could be included in a formulation with a pesticide or would be added to a tank separately. When included in the pesticide formulations, they will be called in-can adjuvants. Such may be added separately when the spray solution is prepared. The amount of pesticide required below the recommended use rate will not be reduced by agricultural spray adjuvants. As a matter of fact, it is illegal to use pesticide in the U.S. when not specified on the label. Nevertheless, the U.S. law governing the use of pesticides would allow the rates that are lower than what is indicated on the label. How Adjuvants Are Used There are a few different types of adjuvants that perform specific functions, which include buffering, dispersing, emulsifying, spreading, sticking, and wetting. Activator adjuvants – improve what pesticides already do. Basically, they contribute to better absorption. Nitrogen-based fertilizers, oils, and surfactants generally belong to this category. Special purpose adjuvants – this type of adjuvant is able to fix issues with a regular product, as it makes it better. The functions that belong to this category include buffering and conditioning agents, compatibility agents, defoaming agents, drift control agents, and deposition agents. Generally, all these would alter those physical characteristics of a spray product. The application problems would be reduced using colorants, foam markers, suspension agents, and tank cleaners. Choosing the Correct Adjuvant It is important that you know what you want out of your product. Then, you can list down the potential choices for adjuvants to narrow down on your preferences. So here are a few things that you need to remember. -Read what is on the label of the pesticide-Use adjuvants made or agricultural or horticultural purposes-Try to stick to a trusted dealer or brand Take note that the quality of adjuvants can be determined on its label. Although one adjuvant performs multiple functions, it will not solve each problem associated with pesticide products. If you are thinking about adding adjuvants, give the pesticide some time to take effect first. You have to know what a pesticide does before deciding to add something into it to make it a better product. If you’re not sure or have questions get in touch with Precision Agronomics today!​ Precision Agronomics is located at 9438 West SR 28 in West Lebanon, IN and is proud to serve: Marshfield, Johnsonville, Foster, Stone Bluff, Bismarck, and the surrounding areas. Contact us today for more information! Fertilizing in late fall is always problematic due to freezing soils and cold temperatures. As a result, frozen soils can cause problems when commercial fertilizers are applied to them. Take note that all commercial fertilizers are soluble in water. Nevertheless, there are variations in how long it would take for materials to fully dissolve. So if materials did not have some reactions with the soil, then they may be susceptible to loss when water would move across the field. Water quality concerns have caused the loss in nitrogen and phosphorus due to late fall fertilizer applications. At the same time, until hydrolysis will convert urea to ammonium, potential loss of urea can happen, which can be held by charges on soil clay. Urea is a neutral molecule and moves readily with water. Fertilizing In Late Fall The reason behind fertilizing in late fall is that it can prolong the turf color of cool season grasses into early winter. This is done without the increase of chance of winter disease and injury. Winter color is more noticeable where winters are warmer. In addition, this can enhance the spring green-up without excessive growth that often accompanies early spring fertilization. Early spring fertilizer application is not required since green-up will often last into mid-spring. When fertilizer is applied in late fall, there is a small but important increase in the carbohydrate reserves of the plant. At the same time, late fall fertilization would result in an increase in rooting. In fact, some root growth occurs in the winter when the temperatures are over the freezing point. Thus, only minimal growth will occur in summer. 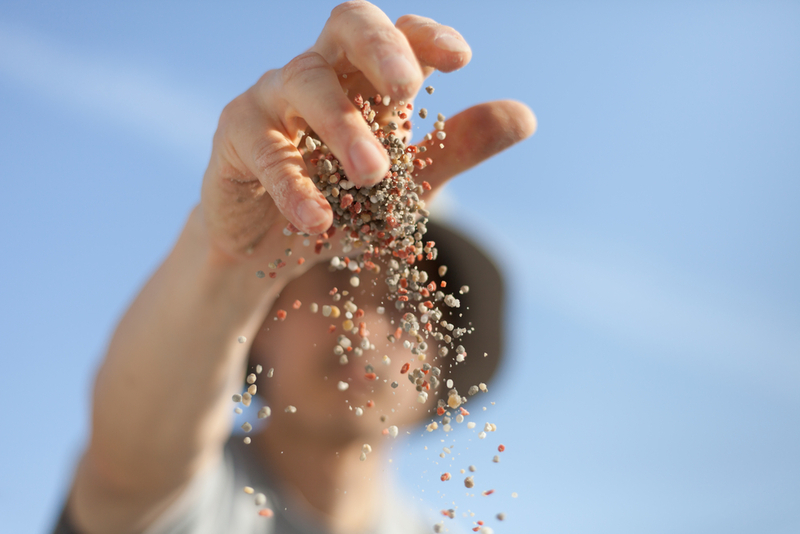 Challenges in Late Fall Fertilization Fertilizer application could also pose some challenges, such as poor timing, which causes a risk of nutrient loss through runoff. When soil temperatures approach freezing, the risk of loss increases while the chance of nutrients getting held in soil decreases. This could be quite a threat if you are using fertilizer for corn and soybeans during the winter. Solutions for Late Fall Fertilizer Application -Never apply late fall fertilization to frozen or snow-covered grounds-Prevent runoff with the use of tillage-Reduce the risk of nitrogen loss by properly sealing anhydrous bands-Incorporate the application of fall urea-Take note about the risk for spring loss Advantages of Fall Application of Fertilizer -Getting the job done which can delay for spring planting-Able to get over fields when usually drier and less likely compact-Get a price break from fertilizer dealers The phosphate requirements for corn, grain sorghum, soybeans, and tobacco can also be applied during fall. It is best to apply fertilizer ahead of disking when a cover crop is to be planted. However, it is not advisable to apply nitrogen during the fall. Nitrogen fertilization is needed for soybean crops, which takes up to 5 pounds of nitrogen per bushel. Experts argued though that it better be in the right season. This is important for those who are considering to buy fertilizer for corn and soybeans. ​Precision Agronomics is located at 9438 West SR 28 in West Lebanon, IN and is proud to serve: Marshfield, Johnsonville, Foster, Stone Bluff, Bismarck, and the surrounding areas. Contact us today for more information! In growing plants and crops in a loose layer of land, soil fertility is important. The expectation of growing plants and crops as food for both humans and livestock depends heavily on the soil's health and its proper fertilization. However, soil fertility is a concept that not everyone is familiar with. For the average person, it is simply treated as part of the ground and grows plants, trees, and crops. Little is known that there are certain factors that actually influence and affect the actual success of their production. The soil's overall health depends on these factors a lot. It could either make a good crop or plant production or not at all. In this piece, we discuss soil fertility as well as its productivity. Not only that, we dive deeper into the influential and affecting factors of the fertility of the soil. Soil Fertility and Productivity By definition, soil fertility shows the ability of the soil to provide the right amount and balance of nutrients that the growth of crops and plants are going to depend on. To optimize crop production, it is important to maintain fertile soil with the right combination of plant nutrients as well as an optimum soil pH. Soil productivity is heavily dependent on the fertility of the soil. It shows the soil's ability to support plant and crop growth in its optimal environment. As it is dependent on the soil's fertility, high soil productivity would need the soil to be properly fertilized. Keep in mind, however, that soil productivity can also be affected or influenced by other factors than the fertility of the soil. Even if the soil is fertile, the level of productivity can be disrupted by the presence of weeds and even certain farming methods. Factors Influencing the Fertility of the Soil Soil pH - After testing the soil, you determine the existing pH level of the soil. Along with that, you would discover the nutrients that are available that can be used for planting crops. Organic matter - You can also increase the fertility of the soil by determining the presence of certain organic materials that contain nutrients in them. These can be reused for the next growing cycle. Moisture content - The amount of moisture that resides in the soil can also influence soil fertility. Actual nutrients can be found in the soil solution and not the solid matrix. Therefore, it's more desirable to use soil with higher moisture content to increase and ensure its fertility. Clay content - Through the soil's clay content, the cation exchange capacity (CEC) is determined. There are more nutrients present in soil with a higher CEC than its opposite. Low CEC indicates the possibility of easily losing nutrients by leaching. Bulk density - Soil fertility also depends on its bulk density. As a rule of thumb, the soil to be used should not be compacted. Or else, it can easily obstruct root penetration. If this happens, it's going to be difficult for the roots to reach the nutrients it needs. Precision Agronomics is located at 9438 West SR 28 in West Lebanon, IN and is proud to serve: Marshfield, Johnsonville, Foster, Stone Bluff, Bismarck, and the surrounding areas. Contact us today for more information! The health of plants and crops rely heavily on the health of the soil where you plant it. Which is why it's crucial to conduct proper soil testing and to determine a soil conductivity map in the ground you're planning to plant in. Through testing the ground or soil, you will be able to see the available number of minerals and nutrients that reside in it. However, soil testing isn't a simple process. Specific procedures and elements should be followed and observed for it to be considered good and thorough testing. 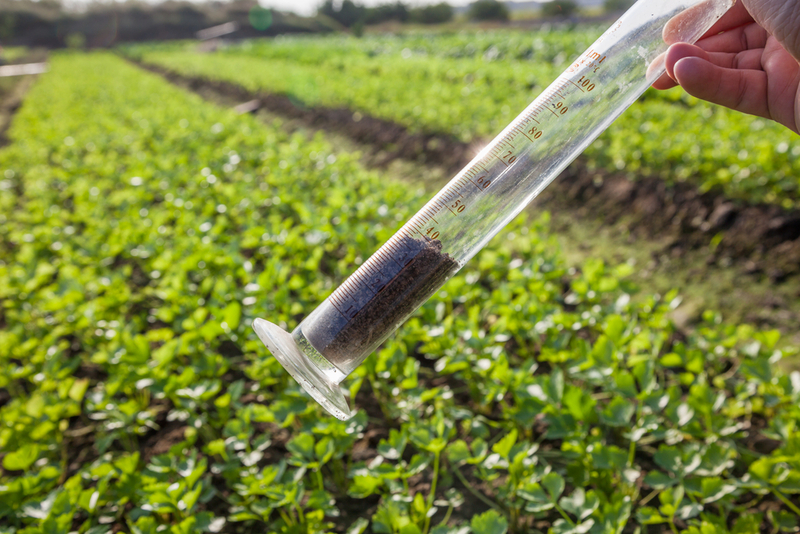 As you go through the processes of proper soil testing, you'll get to determine its importance when it comes to planting crops and even maintaining lawns. Why is it Important? 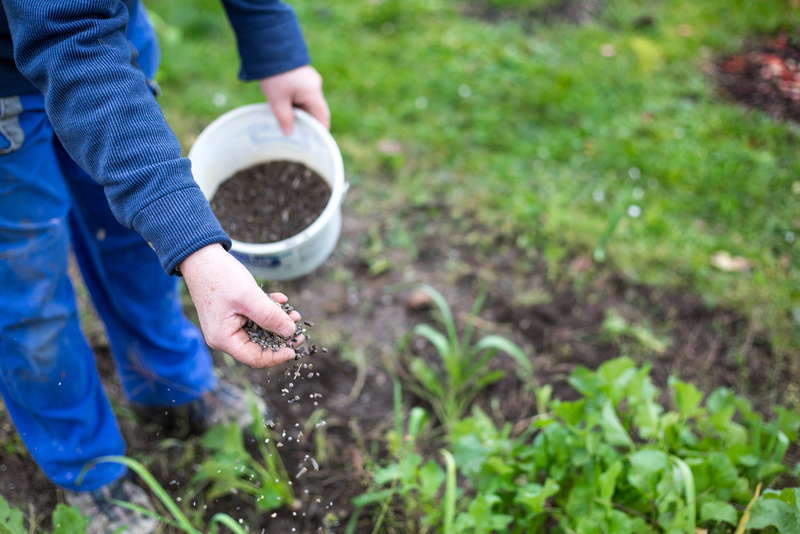 Before you begin growing plants and crops, the first step is to always conduct proper soil testing. It goes deeper than simply determining the number of nutrients and minerals that are found in the ground you're planning to use. Optimizing crop production is perhaps the biggest reason why soil testing is crucial. 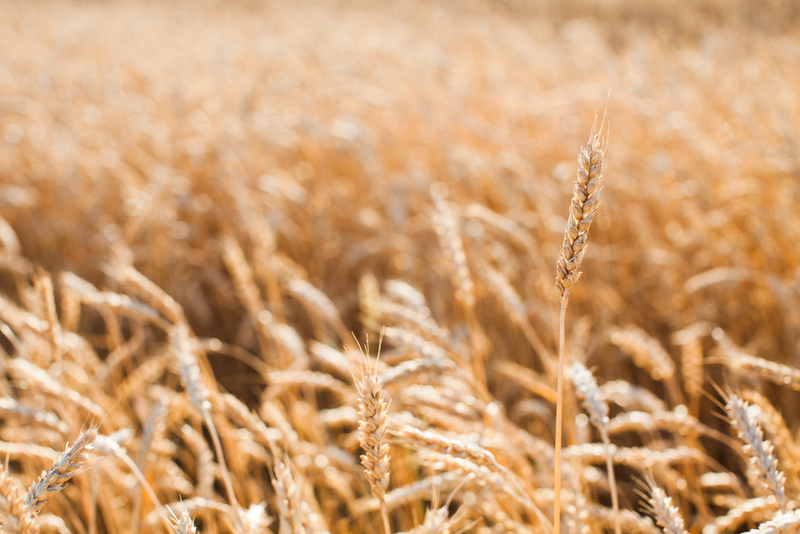 Without testing the ground, you will potentially put your crops at risk of being grown in an unusable soil and therefore risking the production as a whole. Soil testing is also important to prevent soil contamination due to runoff as well as draining out excess fertilizers. If these things do happen, it will surely be a great risk factor that can potentially disrupt the entire crop production. It can also be helpful in preventing and improving the odds of the crops through addressing possible issues of nutritional balance, save money and energy through putting in the right amount of fertilizers needed, as well as help in the analysis of certain plant culture problems. Understanding Soil pH LevelsThe presence of minerals and nutrients found in the ground is determined through the soil's pH levels. When conducting proper soil testing, the soil's pH is measured. It shows the ground's acidity or alkalinity read on a scale ranging from 0 to 14. A low scale shows harsh acidity while a high scale indicates extreme alkalinity. When testing the soil, it should be in a neutral or balanced level which ranges somewhere in between--6.0 to 7.5. Seeing an imbalanced soil pH will indicate a risk that can directly affect the number of nutrients available in the soil. Therefore, measures can be done in order to adjust the levels. While it may take years to adjust the soil's pH imbalance, acidic soil requires the application of limestone derived products while alkaline soils would need sulfur products. Fertilizers and other PracticesFertilizers also play an important role in successful and optimized crop production. When the soil pH indicates balanced levels, crops can be planted with the right amount of fertilizers that the soil can take. A soil conductivity map can aid in adding the proper amount of solution needed to plant roots. Finally, certain fertilizer practices, as well as growing media, will need to undergo testing at least once a month. Precision Agronomics is located at 9438 West SR 28 in West Lebanon, IN and is proud to serve: Marshfield, Johnsonville, Foster, Stone Bluff, Bismarck, and the surrounding areas. Contact us today for more information!